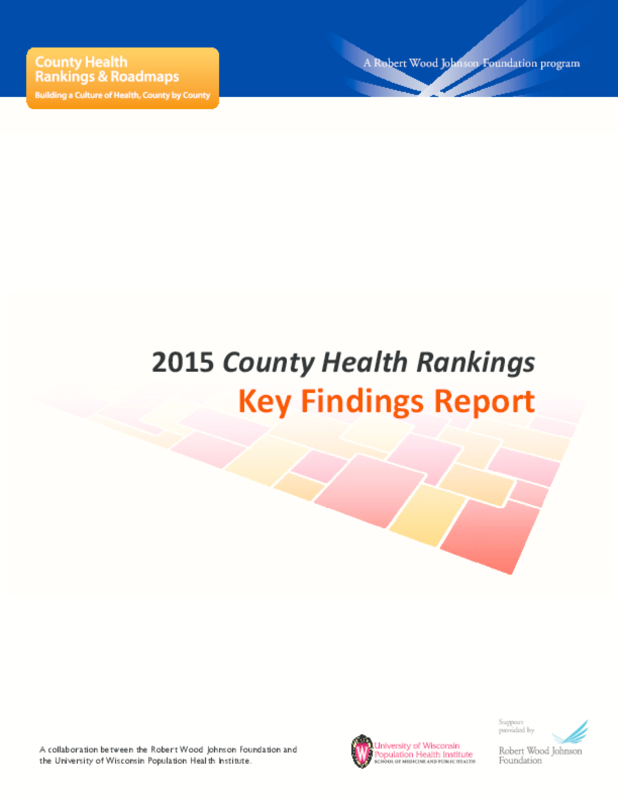 A rich resource of local-level data, the Rankings are an easy-to-use snapshot comparing the health of nearly every county in the nation. The Rankings allow each state to see how its counties compare on 30 factors that impact health, including education, transportation, housing, violent crime, jobs, diet and exercise. This year's Rankings show that almost one out of four children in the U.S. lives in poverty. Child poverty rates are more than twice as high in the unhealthiest counties in each state than in the healthiest counties. The report also looks at distribution in income and the links between income levels and health. In this report the 2015 County Health Rankings show that premature deaths are dropping, with 60 percent of the nation's counties seeing declines. For instance, in the District of Columbia premature death rates have plummeted by nearly one-third based on data from 2004-2006 and 2010-2012. This marks the highest drop in the country for counties with populations of 65,000 or more. But for many counties these rates are not improving -- forty percent of counties are not making progress in reducing premature deaths. Copyright 2015 University of Wisconsin Population Health Institute.